Wiry Panic Grass plant is great for feeding to livestock. Wiry Panic Grass - Entolasia stricta. The Wiry Panic Grass plant is a type of versatile brownish shrubby grass that grows in sandy soils throughout the eastern parts of Australia and in some places in the United States where there is moist, well-drained soil. Wiry Panic plants are perennial as well as rhizomatous, and they tend to grow very quickly. Hardiness Zones for Wiry Panic are from 3 to 8. They can reach heights between 3 to 6 feet and widths of up to 2 feet. They grow best in environments where they can receive full sunlight. Wiry Panic Grass is versatile. Wiry Panic Grass is a native grass that can be found growing in many parts of the United States. This grass grows best in moist, well-drained soils. Wiry Panic needs full sunlight to grow and doesn’t handle shade well at all. Wiry Panic Grass has such a high moisture need that it grows best near water gardens. 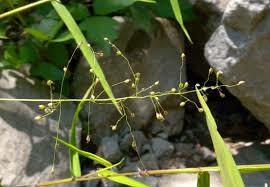 This Plant can also be placed near natural streams where the water is slower, and it will grow well. 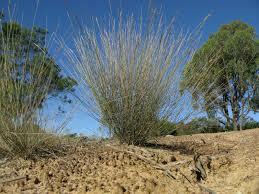 Wiry Panic Grass is sometimes collected by birds to be used to create nests for their eggs to hatch in. 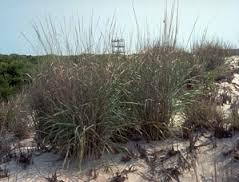 This grass is also a useful plant for protecting birds, mice, and rabbits from predators that are looking for them. Wiry Panic Grass is even eaten by deer who like to graze on the green grass. Wiry Panic Grass can stay green when only touched by a very light frost but will turn brown with a harder frost. Wiry Panic Grass is an excellent grass for farmers, and they love this grass. Wiry Panic is a beautiful grass for livestock to graze on. Wiry Panic can grow to be around 6 feet tall and around 2 feet wide. It will do best in full sun and partial shade and wet and dry soil conditions. This grass is great for farmers and homeowners who have cows or sheep. Not only can it save you money in the long run but it can also allow you the peace of mind to know your animals is eating healthy.